Collect all the email addresses while you browse the web. Collect and save all the email addresses while browsing. 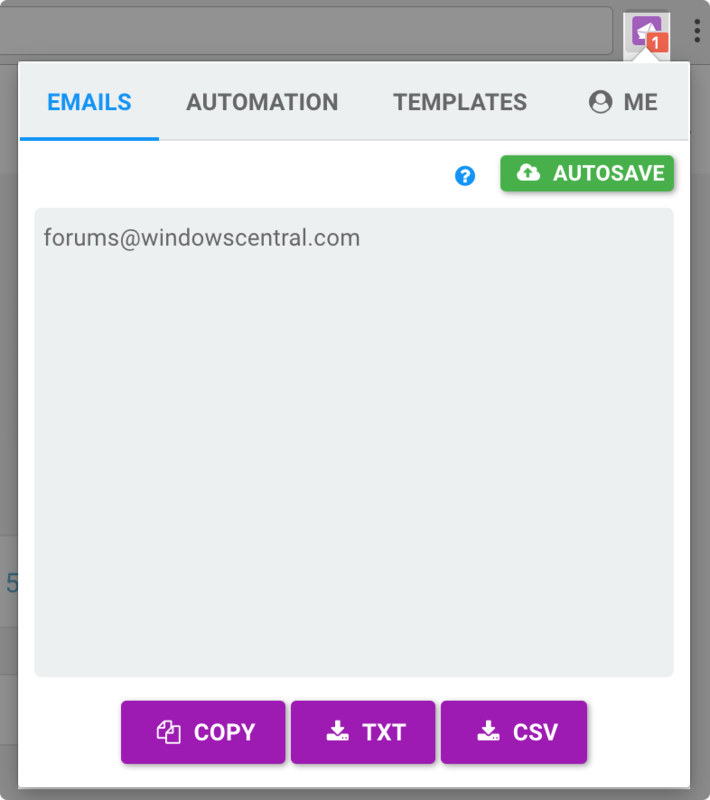 When active the AUTOSAVED, all email addresses will be stored in the cloud, you can download them in csv at anytime. Working good with Mailgun, you can send more than 5000+ emails in a time. Download the csv and upload to Mailgun, build your own mail list easily. Unlimited access to this new feature requires to take a premium paid plan. You paste a list of URLs in the widget, and you start the automation. 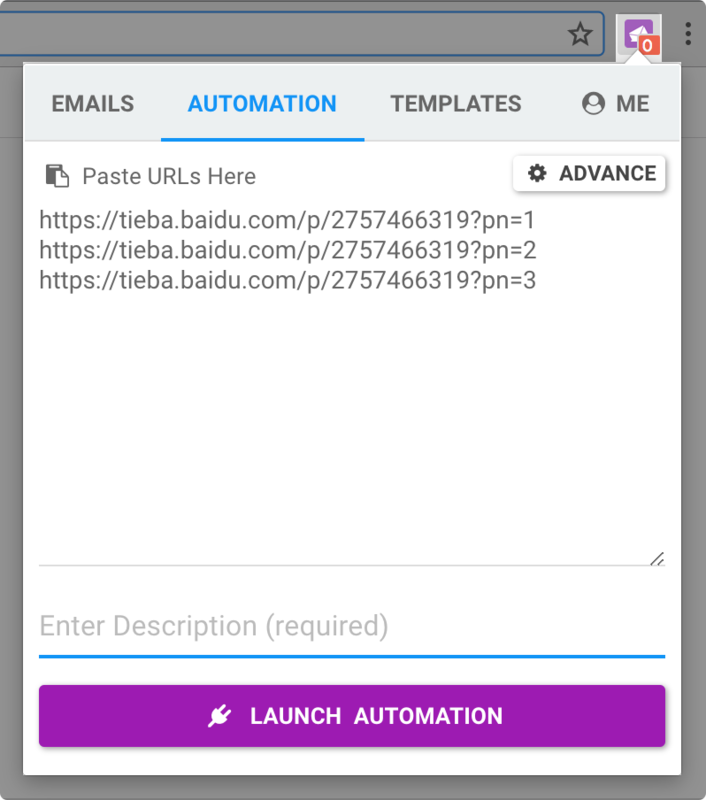 A new tab will open and start visiting all the URLs, you can run many automations at a time, and will start autosaving all the email address in cloud. Beautiful emails, easy and fast. 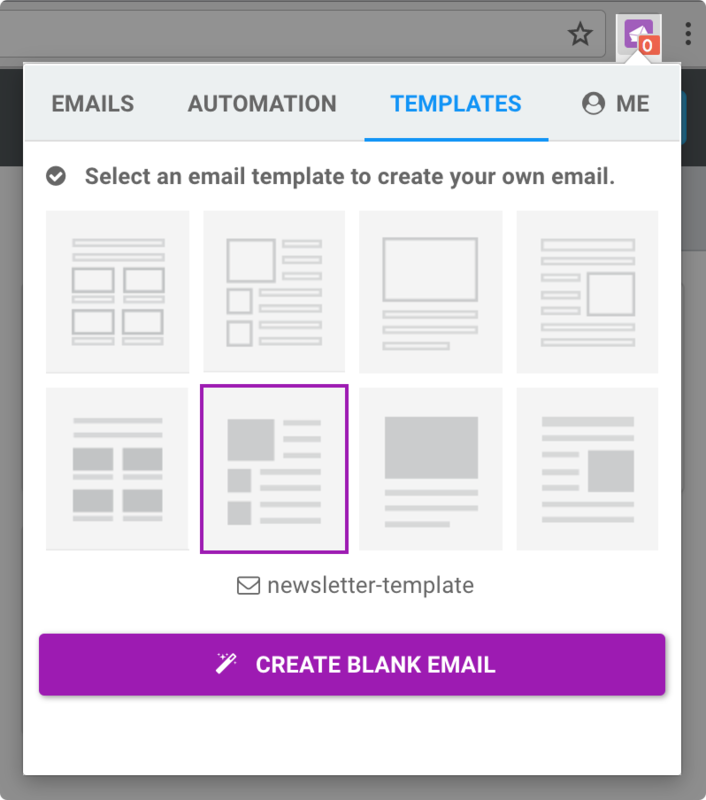 A free drag-n-drop email builder to design mobile-ready messages quickly and easily. Select the email template and send it to Mailgun mail list, with the feature, you can send more than 5000+ emails in a time. Whether you are a casual email editor, a professional email designer, or an application developer, there is a solution for you. You can build beautiful emails easily and quickly with the email templates.